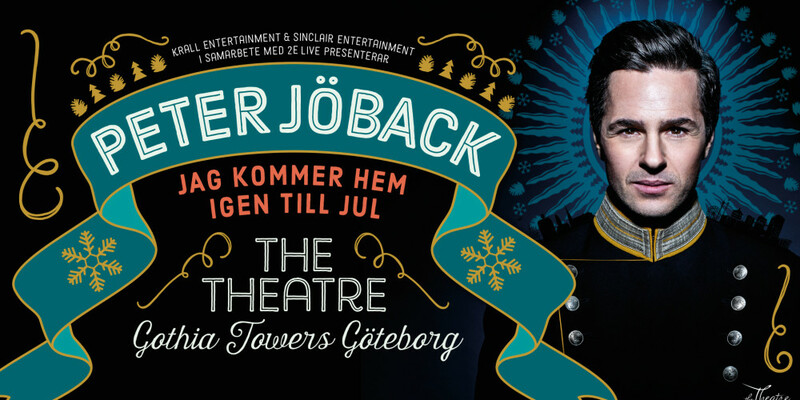 Peter will be presenting a new Christmas show at Gothia Towers in Göteborg between 25 November 2015 and 20 December 2015. The show premieres on Wednesday 25 November 2015 and then continues between Thursdays and Sundays until Sunday 20 December 2015. Tickets go on sale on 28 February 2015 and can be booked by clicking here. More information will be found at Peter’s official Christmas site but it currently just consists a coming soon splash page. 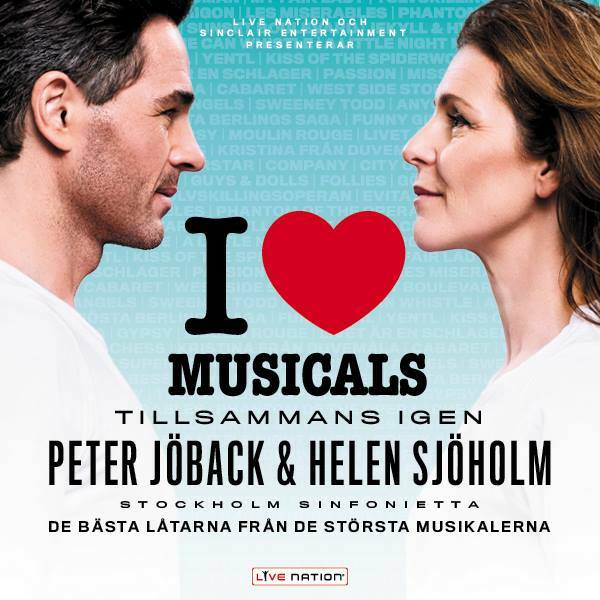 A new Swedish arena tour for I Love Musicals has been announced for 2015. Helen Sjöholm will be Peter’s special guest and the tagline reads “Tillsammans igen” which translates to “Together again”. Helen, of course, is currently appearing opposite Peter in “Livet är en schlager and the two of them starred in “Kristina från Duvemåla” 20 years ago. These are the dates and locations that have been announced so far. Tickets go on sale on 27 February 2015 and can be purchased here. More information can be found at the official site for I Love Musicals. At the recent QX Gay Gala Awards, Peter was awarded Drag Artist of the Year, for his performance as Candy Darling in “Livet är en schlager”. “Livet är en schlager” also won the award for Show of the Year. 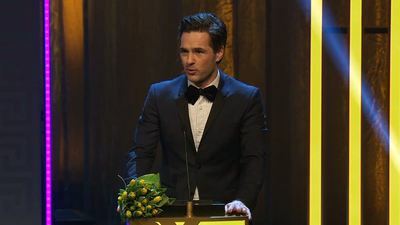 Peter gave an emotional acceptance speech where he paid tribute to his half brother Göran, who had passed away. 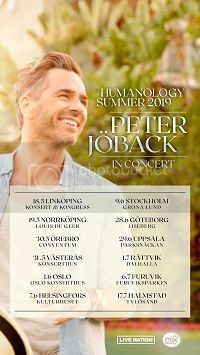 Peter also appeared on stage with John Glans to perform “Mil efter mil” from “Livet är en schlager”. Check out the video below. 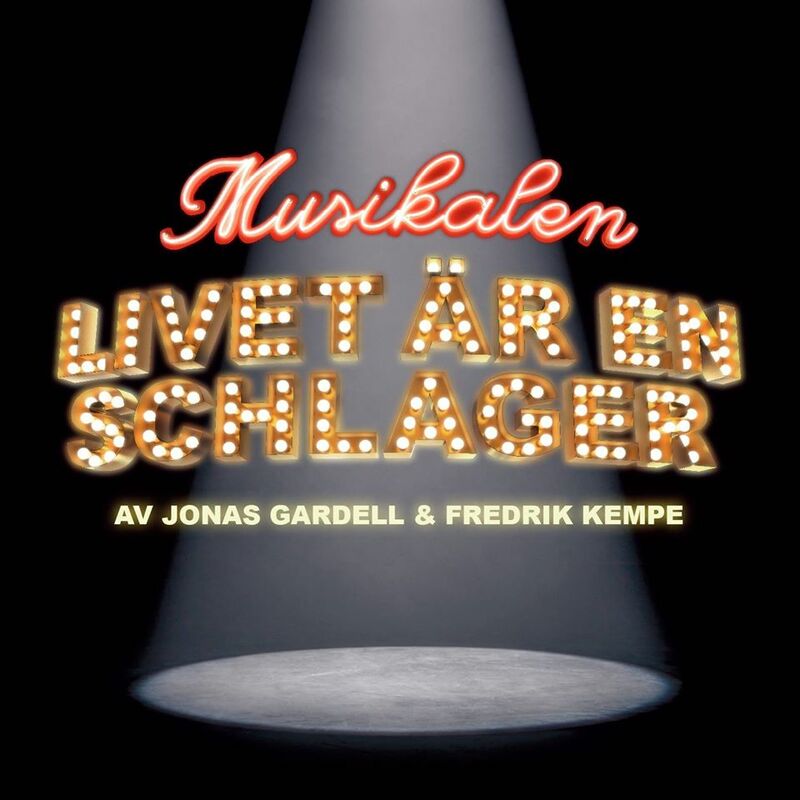 The cast recording of “Livet år en schlager” featuring Peter Jöback and Helen Sjöholm on both CD and through the usual digital outlets. 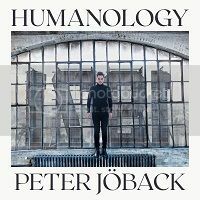 The album debuted at number one on the official Swedish “collections” chart. The last track is a bonus song that did not appear in the musical. Jonas Gardell has performed that song in his shows.